Must their be an heir apparent to AC/DC? Eventually, they're either going to retire or die. But do we need to replace this seminal band with another, one of cheap imitation or sincere flattery? Perhaps not. But there sure is an abundance of bands who want to fill their shoes (or Angus' school boy uniform). You've got Bullet (Sweden), Mainline Riders (US), 77 (Spain), Hard Riot and Big Ball (both Germany), all giving us something akin to, whatever era, AC/DC. (The winner here might be 77.) 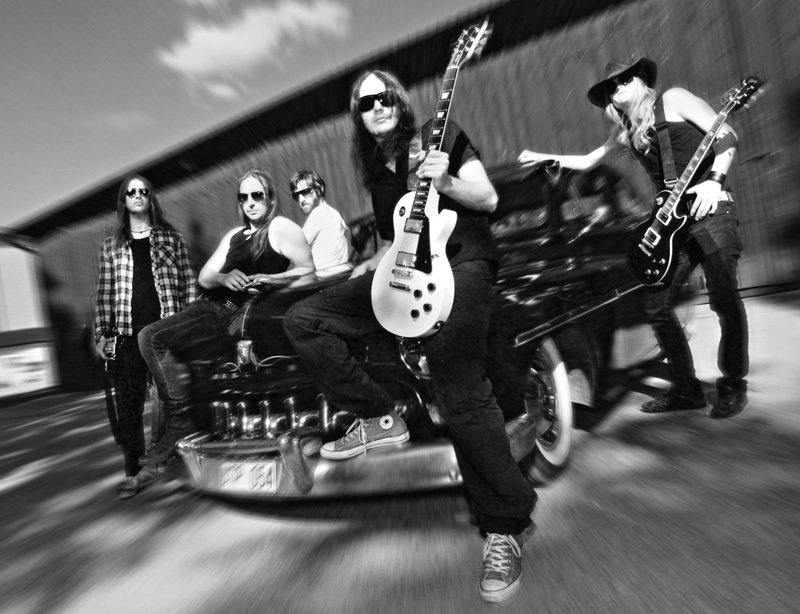 Now here's Stallion Four, like Bullet, also from Sweden, attempt their form of AC/DC-style hard rock. Stallion Four: my guitar, mine, mine, mine. Okay, the band's name is Stallion Four, but there's five guys in the band. What's up with that? Let's move on. 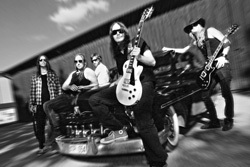 As for vocalist Bjorn Fors, he neither has the smooth snarl of Bon Scott or the lusty groove of Brian Johnson. Largely, he has a raw and rough style with basically one setting: loud and screaming. So, then let's give him the benefit of the doubt and say he sounds like himself. That's not so bad. However, musically speaking, Stallion Four is obviously after the AC/DC sound, or at least something near to it. But there's one problem. AC/DC was always had a strong, and very catchy, rock groove. Sure, they could be heavy, but their best stuff always had that 'boogie' rock feel. It's difficult to catch that here. Maybe on Run and Hide or Running Too Hot, but that's pushing it. Nevertheless, for hard rock, Stallion Four gets the basic formula. Give them the average score for getting hard rock right. But, ultimately, there's nothing novel or necessarily imaginative here. Perhaps they should ditch their vocalist and attempts to clone that other band. They might actually improve and stand above the pack. 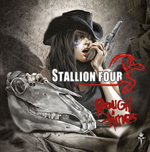 For hard rock, Stallion Four gets the basic formula. Give them the average score for getting hard rock right. But, ultimately, there's nothing novel or necessarily imaginative here when trying to simulate AC/DC, even with your own twist.